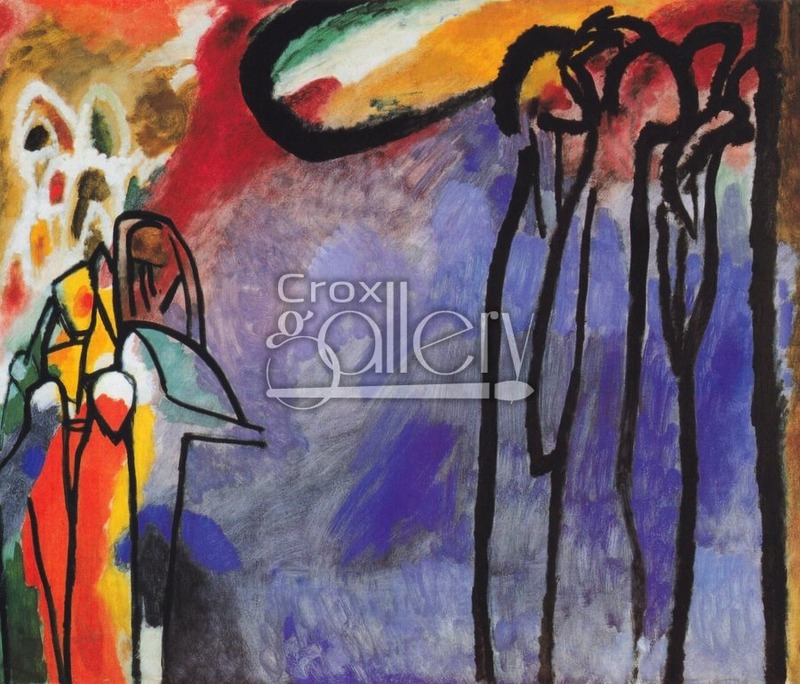 "Improvisation XIX" by Kandinsky, Blue Shaded Painting. Although the title of the painting is Improvisation XIX, it was also called Blue Tone by the artist due to the prominence of this color on the canvas. 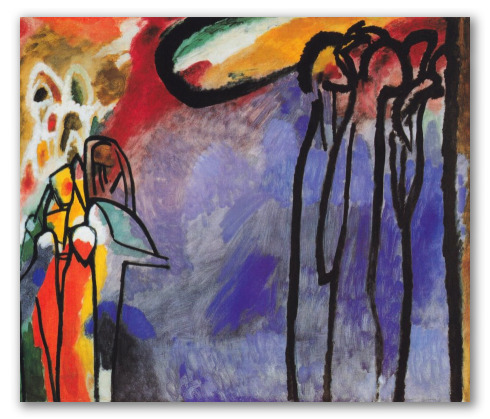 The color was spread using strokes with a dry paint brush; in this way, Kandinsky achieved simultaneously rough and vibrant blue colors.